Pigeons can become a problem for homeowners, apartment dwellers and business owners alike. Their droppings can wreak havoc on paint, balconies and parking lots. Their feces can attract mice and they are highly acidic, staining and eating away at the underlying surface. 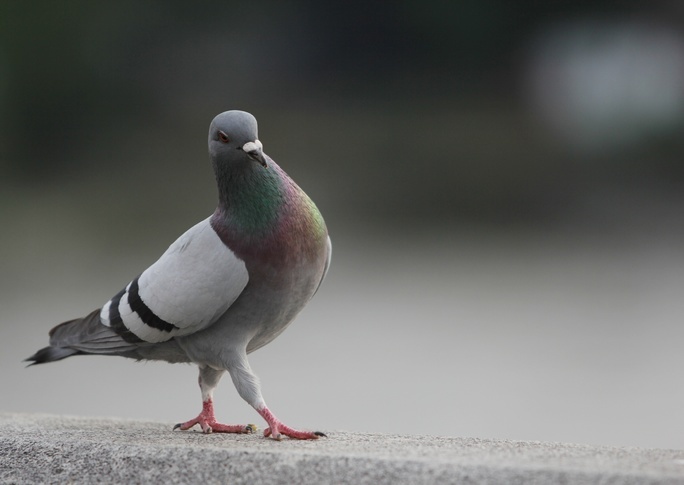 Pigeon feces can also eat away at your car’s paint, causing serious and costly damage. If you are curious about methods to reduce the amount of pigeons on your property, the following will help you understand how we deter pigeons. As noted above, pigeons can cause thousands in damage to cars and buildings. What you may not know is that pigeons can pose a health threat to people as well. Pigeons carry roughly 60-transmittable diseases. If pigeons take residence in a building or structure, the dry feces they leave behind can be pulled into ventilation systems and inhaled by those working in the building. Inhaling pigeon waste can cause serious illness. A number of humane bird deterrents can be used to reduce the amount of pigeons on your property. At CimeX Control, we use certain products to keep pigeons away from your customers, cars and heavily-trafficked areas. We can do this a few different ways. One is habitat modification. This is accomplished through the instillation of pigeon spikes or bird netting to block the birds from getting back to the area they have used to roost, nest or perch. By making these areas inaccessible, birds are forced to move on to a new location. Pigeon spikes can be used on ledges, signs, beams, rooflines and windowsills. Another way to deter pigeons is to use scare tactics. If you appeal to the senses, such as sight and sound, you can scare the birds away from your home or business. We can accomplish this through the Solar Bird Chase Sonic or Reflective Bird Diverters. If you don’t have the resources, time or expertise to solve the problem on your own, contact the professionals at CimeX Pest Control. Contact us for a free inspection. We build relationships with our clients so they feel free to communicate with us about their unique challenges. We also tailor our plans to each pest problem, making sure we remove critters the first time. Call us at (602) 688-4985 or send us a message at ftorres@cimexcontrol.com. Gophers, a variety of burrowing rodent, are common in the western two-thirds of the United States. They’re also referred to as ground squirrels. These little creatures eat up flowers, vegetables and make a general mess out of many homeowners’ lawns. Gophers can also pose a threat to farm or commercial property. Here’s how you know it’s time to serve the gophers on your property an eviction notice. If your plants remain in a half-eaten state for days, your probably have gophers. They do not make tunnels that are visible, but they do go into feeding frenzies. People sometimes mistake gophers for moles and choose the wrong treatment. Moles are actually keener on eating shrubs and earthworms than the gophers usual diet of bulbs, roots, seeds, and vegetables that grow underground. Another way to determine if a gopher is present is to check for mounds of dirt on the surface of the ground. The mounds are made as a gopher tunnels through the soil in search of food. These mounds are less extensive than mole tunnels but they are typically larger in diameter and tend to be deeper. What’s the best way to get rid of gophers? 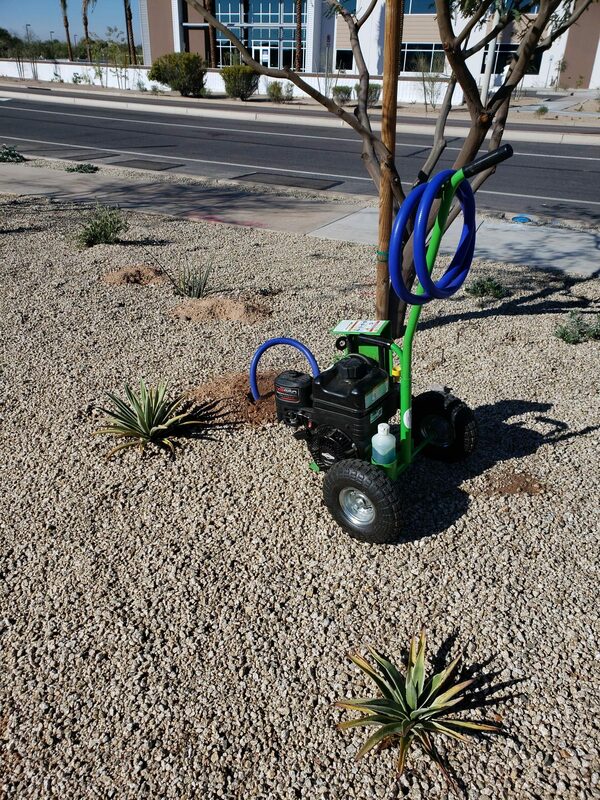 At CimeX Control, we help our pest control clients in the Phoenix area get rid of gophers with the Burrow X. This smokes the gophers while their in the tunnel. Some gopher problems call for different solutions, but we always find a way. Contact CimeX Control for a free inspection. We build relationships with our clients so they feel free to communicate with us about their unique challenges. We also tailor our plans to each pest problem, making sure we remove critters the first time. Call us at (602) 688-4985 or send us a message at ftorres@cimexcontrol.com. 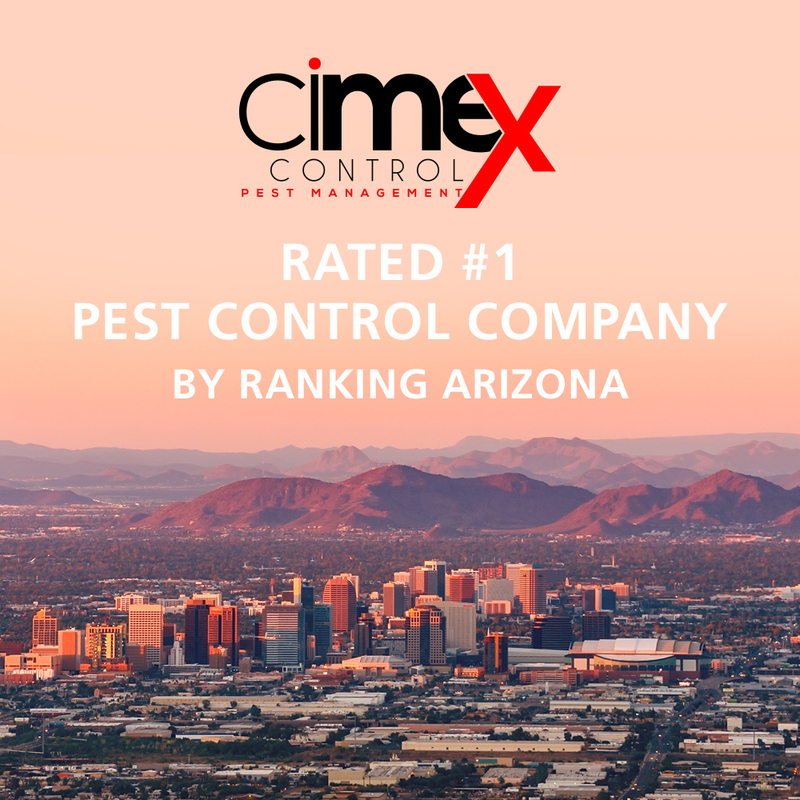 We’re proud to announce we were rated #1 in the Pest Control category for the 2019 edition of Ranking Arizona! For 22 years, the publication has been referenced every day by company officials to help them make decisions for their businesses and families. 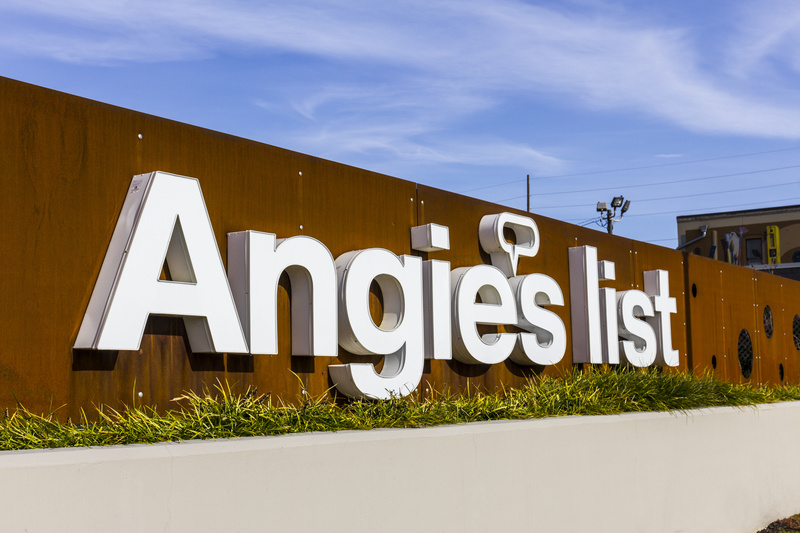 We are happy to have a place next to so many fantastic business leaders in Arizona. Ranking Arizona®: The Best of Arizona Business is the result of the largest business opinion poll taken in Arizona. Results are based purely on voters opinions. It is not based on annual revenue or the number of employees. Participants give their recommendations based on quality of products, services and with whom they would recommend doing business. Thank you to our customers for making your voices heard and recommending CimeX Control. We appreciate all of you! Cockroaches are one of the most resilient creatures on the planet. They hide in walls, sewers and cupboards. Cockroaches are one of the most hated pests. With such world-renowned hatred, how do they manage to survive? Here’s why they are so hard to get rid of on your own. Over 3,500 species of cockroaches live in the world, but only 30 species have adapted to live around humans. There’s one cockroach you probably know better than you would like: the American cockroach. This species is actually from Africa and it made its way to the US by infesting boats in the 16th century. The American cockroach is a master survivor. Its genes are associated with chemoreception. That’s how a roach smells and tastes its environment. They are much better at sniffing out food than other insects, with over 154 olfactory receptors for smell! The American cockroach is not a picky eater. They go for things like book bindings, toenails, blood, cardboard and even each other! The American cockroach has genes called cytochrome p450s, which help it survive poisonous chemicals. The roach also has a strong immune system that kills harmful fungi and microbes. This makes the most unsanitary environment look like a 5-star resort to the average American cockroach. 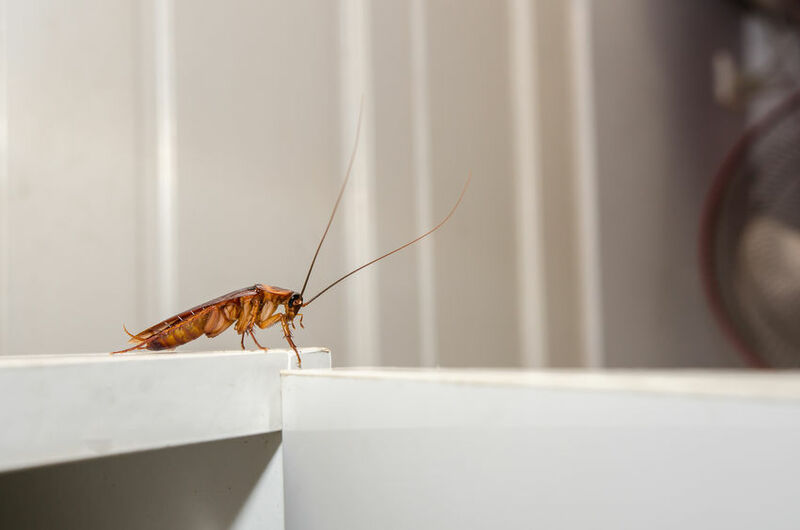 While cockroaches may be hard to kill, there are a few easy ways to keep them away. Roaches survive in and enjoy unsanitary conditions, so cleanliness is one way to keep them at bay. Store food in airtight containers, remove trash regularly and keep your basement dry. It’s also a good idea to plug holes in your walls and drains. Cockroaches can climb from the sewer to the plumbing in your bathroom sink. If you already have an infestation, you will need professional help to resolve the problem. For cockroach infestations in the Phoenix area, contact the professionals at CimeX Control. Call us for a free inspection. We build relationships with our clients so they feel free to communicate with us about their unique challenges. We also tailor our plans to each pest problem, making sure we remove critters the first time. Call us at (602) 688-4985 or send us a message at ftorres@cimexcontrol.com. 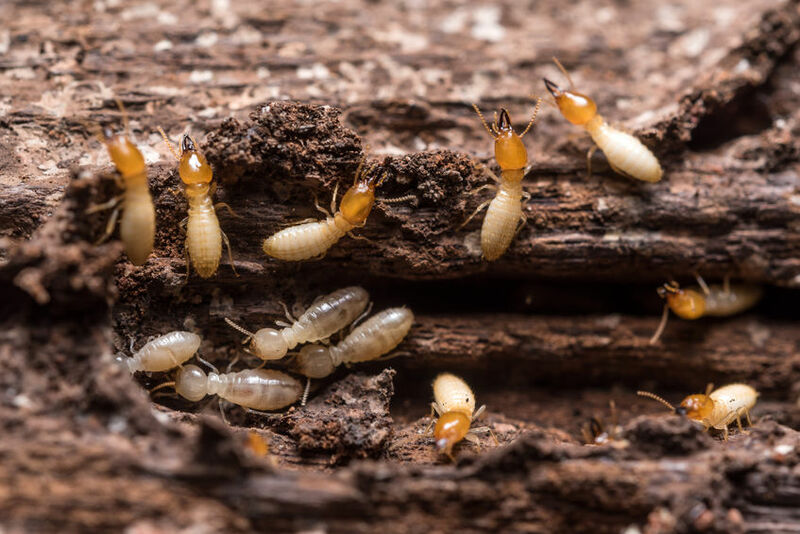 As a homeowner, you can take certain steps to keep pests away from your home. There are DIY methods that sometimes work: keeping food sealed tight in the pantry, using herbs to repel certain bugs, or placing traps. What about situations where pests are out of control? 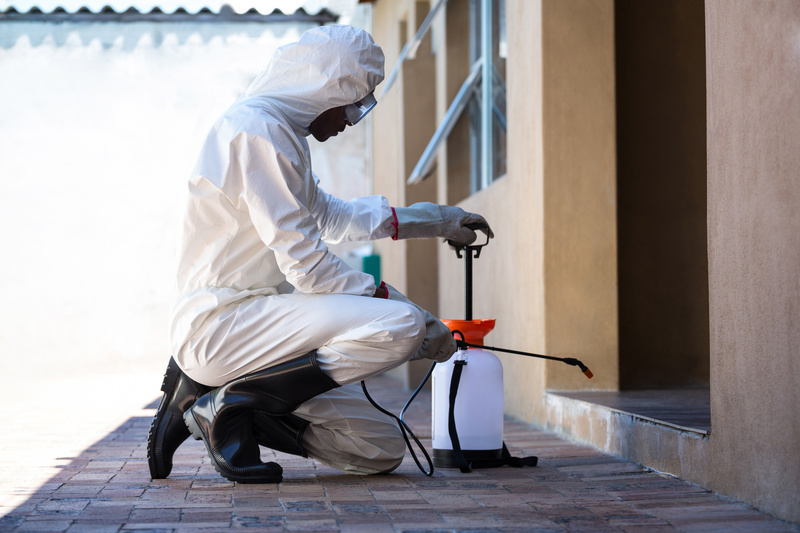 Homeowners have a certain set of tools that only work in some conditions, but professional pest control methods reign supreme. Here are situations where you would need the help of a pest control professional. Rodents can cause structural damage to your home, apartment or office. Mice and rats will gnaw at books, paper, wood and more to build their nests. They will also chew on wiring and defecate inside your home. 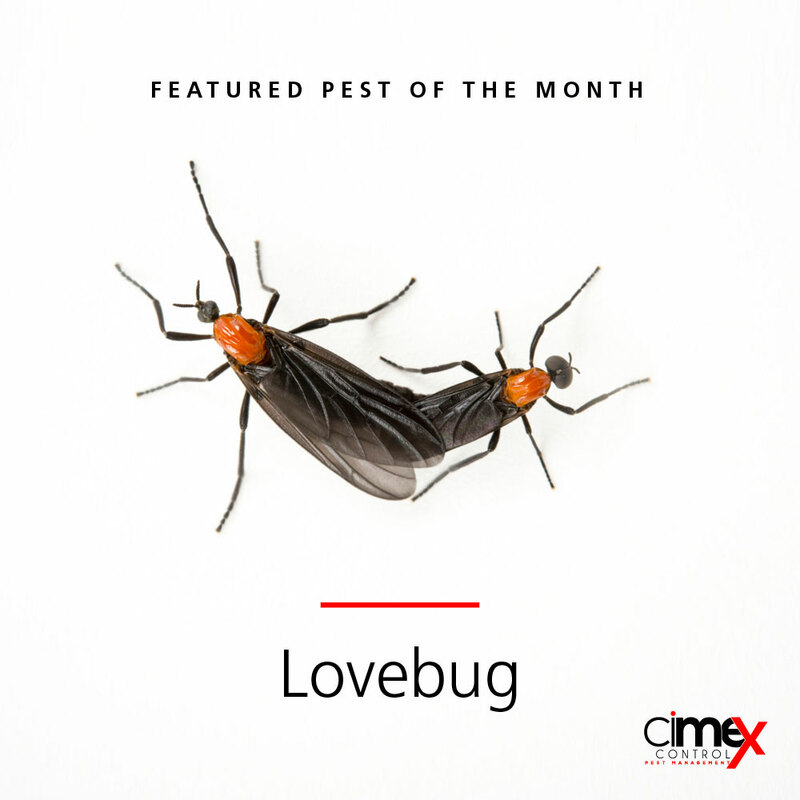 These are not pests you want living anywhere near your home or office. Rodents can cause significant damage within a short amount of time, so it’s important to take care of the problem. Pest control professionals have a set of tools to handle rodent infestations. Many DIY rodent control methods involve the use of store-bought traps. These are not pleasant to dispose of, especially if the rodent is still alive. Pest control professionals can take care of this for you. Once cockroaches breed in your home, they are difficult to stop. Some DIY methods include setting out a deadly solution for the cockroaches to eat. These solutions later kill the cockroach. This doesn’t always work to solve the overall problem – since you have hundreds living in unseen places and they will not encounter the solution. Cockroaches can carry deadly diseases, transferring E. coli and salmonella from one food source to the next. No one wants to get sick because of a cockroach infestation. If you know you have a problem, contact a pest control professional as soon as possible. In addition to rodent and cockroach infestations, there are other pests that are difficult to control on your own. If you have a pest control problem in the Pheonix area, contact the professionals at CimeX Control. Call us for a free inspection. We build relationships with our clients so they feel free to communicate with us about their unique challenges. We also tailor our plans to each pest problem, making sure we remove critters the first time. Call us at (602) 688-4985 or send us a message at ftorres@cimexcontrol.com. “Pantry Pests” is a term for bugs that feed on packaged goods. These pests will infiltrate your pantry and eat your food unless you take steps to keep them at bay. 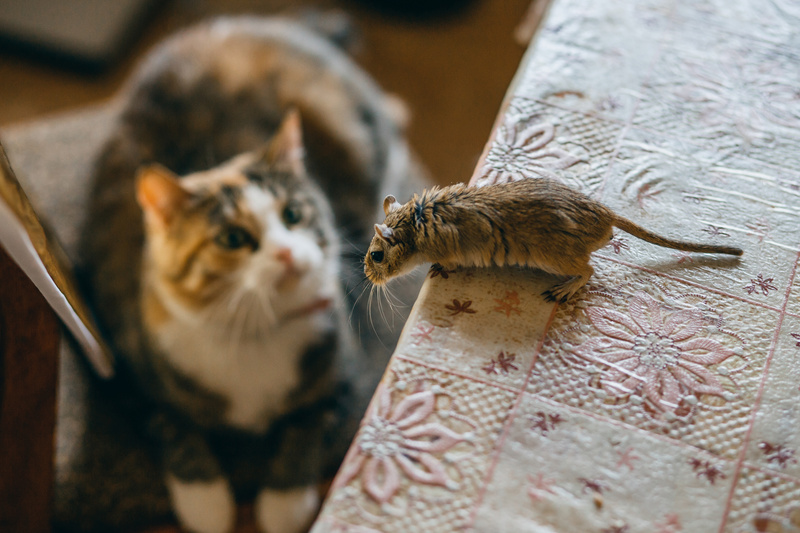 Regular infestations can lead to food waste and cost you money, and the same things that attract pantry pests can also attract mice. A mice infestation can contaminate your food and cause disease. Grossed out by the prospect of pest in your pantry? You should be. 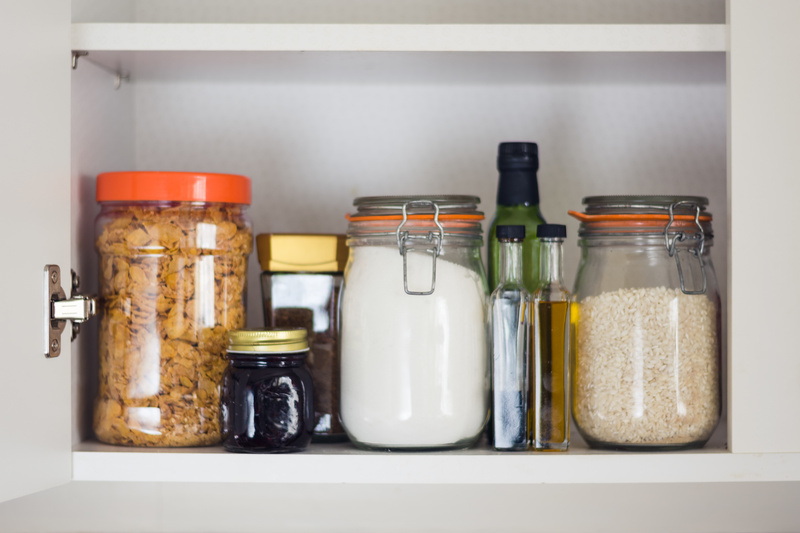 Follow these tips and you can keep your pantry pest-free. To get started, take everything out of your pantry and wipe down your shelves. Spilled food like pasta, flour, spices and nuts are targets for pests. Wipe up any spills and go over the shelves with a disinfectant to remove bacteria. If you see mouse droppings, contact a pest control professional for extermination. Mice hide when humans come around, but droppings are a sign they’re in the area. Inspect food packages for signs of infestation. Look for evidence of damage like holes or tears. If an item has been contaminated, throw it away. Anything not in a glass or plastic container with a tight-fitting lid can be easily contaminated. Place the items in glass containers instead or store them in your fridge. The best way to keep pests out of the kitchen is to keep food contained and inspect your pantry regularly. Always wipe up spills as soon as you notice them. Keep vulnerable items in the fridge or freezer. If you currently have a pest problem, call a pest control professional for help. Infestations should never be allowed to grow as they can cause costly problems down the road or cause disease. If you have a pest control problem in the Pheonix area, contact the professionals at CimeX Control. If you’re looking for a pest management team you can trust, call us for a free inspection. We build relationships with our clients so they feel free to communicate with us about their unique challenges. We also tailor our plans to each pest problem, making sure we remove critters the first time. Call us at (602) 688-4985 or send us a message at ftorres@cimexcontrol.com.